Throughout 2017, VISTA has supported Fueled By Ramen artist Against The Current at Irving Plaza, gained idobi rotation with their single “Henchmen,” an anti-oppression anthem, and completed two headlining tours. Their most recent 7-track EP, "Long Live," released in July 2017, centralizes around the theme of finding an oasis in a dystopian society. "Long Live" immediately made its’ way onto three different iTunes charts and sparked the completion of two US tours, in August and November, respectively. 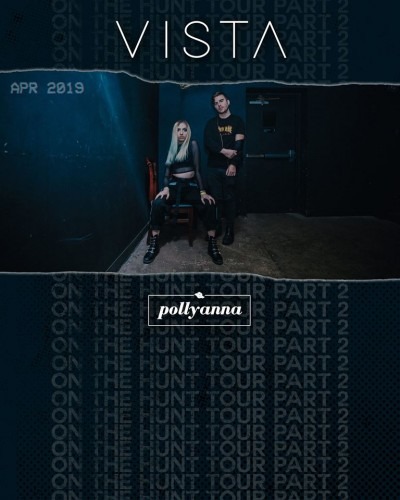 Most recently in 2018, VISTA released 2 singles “Witch Hunt” and "Born For Blood," both produced by ZK Productions), completed their third US tour “The Bloodlust Tour,” played a date of the Vans Warped Tour, and played multiple support dates with Set It Off. “Witch Hunt” premiered worldwide on idobi radio, quickly garnering 125,000 Spotify streams, and earned video rotation in Journeys’ stores nationwide.